School’s almost out for the summer, and moving season is here! This is a great thing if you are looking for resale homes, but can make it a bit tougher if you desire new construction and want to move quickly. 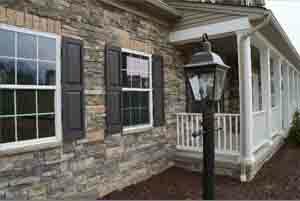 Luckily for those folks in the Martinsburg, WV area, we have two quick delivery homes that fit the bill for those sought-after summer move-in dates. 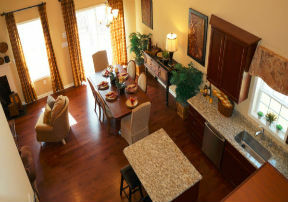 Last Call for Foxpointe Buyers! As the warm weather hits and spring wraps itself around Happy Valley, there is no doubt that the housing market is heating up. 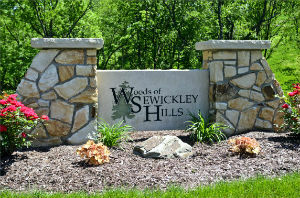 That means that the area’s hottest community will soon be sold out, and those choosing to remain on the sidelines will miss out on their very last chance to purchase new construction homes in Foxpointe, located in State College PA.
With only three home sites left in The Woods of Sewickley Hills, there is little doubt as to why this community has been so popular. Located in Sewickley, PA, and in the heart of the Quaker Valley School District, the community has a lot to offer when it comes to education. It’s safe to assume if you are looking for a quick delivery new construction home, you need something quickly. So, what better way to narrow down your search than to use S&A Homes’ brand new quick delivery homes section? Our completely revamped Quick Delivery Homes “corner” now features everything you need to narrow down your search quickly and easily. Use filters and dynamic maps to locate the home of your dreams. Download a details sheet complete with room dimensions, upgrade lists and pictures. Or, peruse the many photo galleries we now have available for our quick delivery homes. 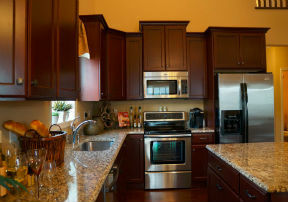 No matter what kind of home you are looking for, you won’t find any more detail than on our website. To start your search today and find your perfect home, click here. Here at S&A Homes, we are used to seeing happy homeowners. But, it’s not every day that one of our customers decides to pop the big question on their recently purchased lot! When Brady proposed to his new fiancé on his just-purchased home site in Rolling Hills Farm (located in West Newton, PA), she responded with a resounding “YES”! 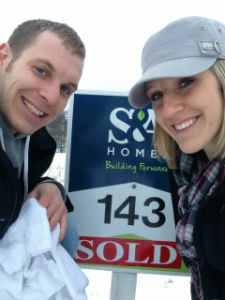 “We could not be happier with the signing of our new home and engagement! It all started a year ago when we began looking at homes, we would drive to Rolling Hill Farms and admire the houses. We always loved the style of the S&A homes, but we never thought that we would be able to afford a customized home of this caliber. One year later and after trying our hand in previously owned homes, we decided to set up an appointment to see the model home at Rolling Hill Farms and the rest is history. One of the most scenic and historically significant areas in all of Pennsylvania is Gettysburg. Its quaint downtown, friendly residents and breathtaking scenery are just some of the reasons residents choose to make Gettysburg their home. 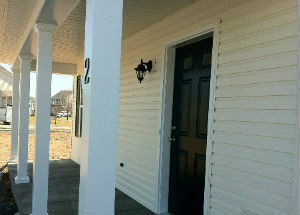 And within Gettysburg is the popular community of Deatrick Village. With Earth Day less than two weeks away, there is more you can do than simply cross the day off on the calendar. Unfortunately, many adults treat this special day as nothing more than a chance for elementary school students to learn about recycling. 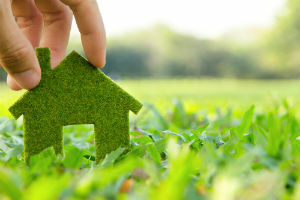 In reality, S&A home buyers help conserve the Earth simply by purchasing an S&A home. The leaf in our logo is about a whole lot more than a cool design. It represents our commitment to overall conservation and energy efficiency as a builder. If you’re looking to put a spring in your step, do we have the thing for you! 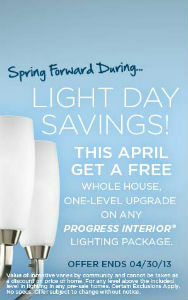 This month, any purchaser of an S&A to-be-built home will be happy to hear they will automatically receive a free upgrade on any Progress® interior lighting package, just to celebrate what we call Light Day Savings!